It’s time to discover fine porch living! 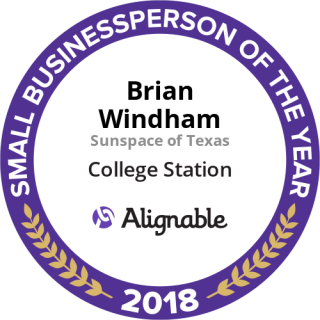 Sunspace Texas allows you the ability to customize your outdoor living space, eliminating dust, insects, harmful UV rays, and inclement weather. 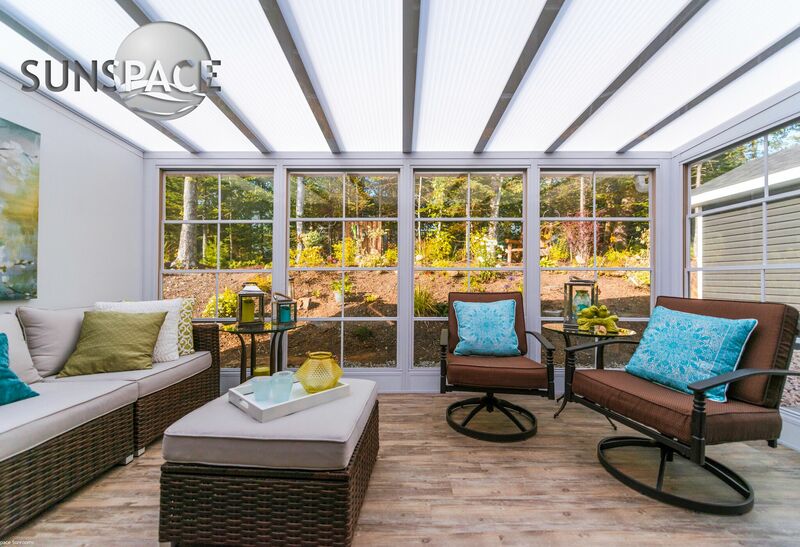 Discover our porch enclosures, acrylic roof systems, decks, railings and more! We pride ourselves with offering superior products that are expertly installed, easily maintained and warrantied for life. Our goal is to provide excellent customer service and satisfaction with our products. We are focused on communication with our clients from initial consultation to finished product. We strive to provide the perfect product for your lifestyle and increase your time outdoors with your family and friends. 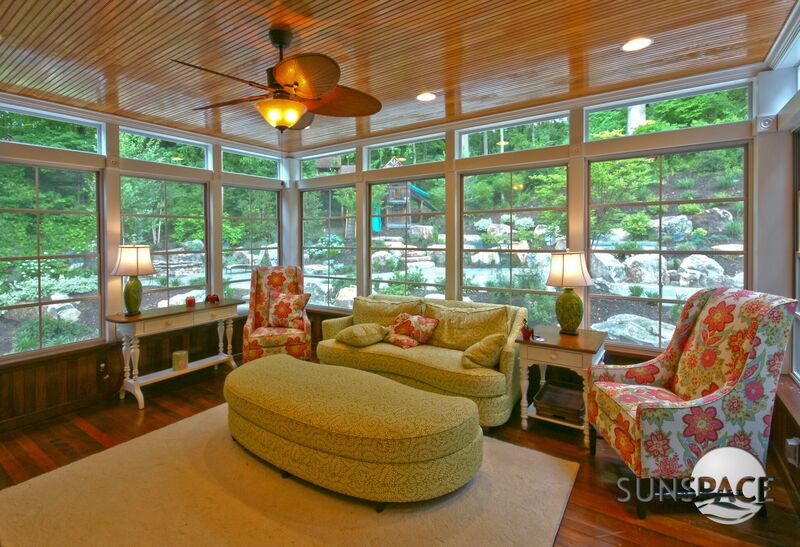 Sunspace Texas offers you the ability to increase your living space by enclosing your porch or building a new sunroom. These applications add not only additional square footage, but offer a feeling of being outdoors without the annoyances of mosquitos, pollen and rain. We can build new deck systems, cool to the touch and impermeable to rain and Texas sun. We also offer roof systems that let the light in without damaging UV rays. We can help you construct a perfect oasis for your home and lifestyle. 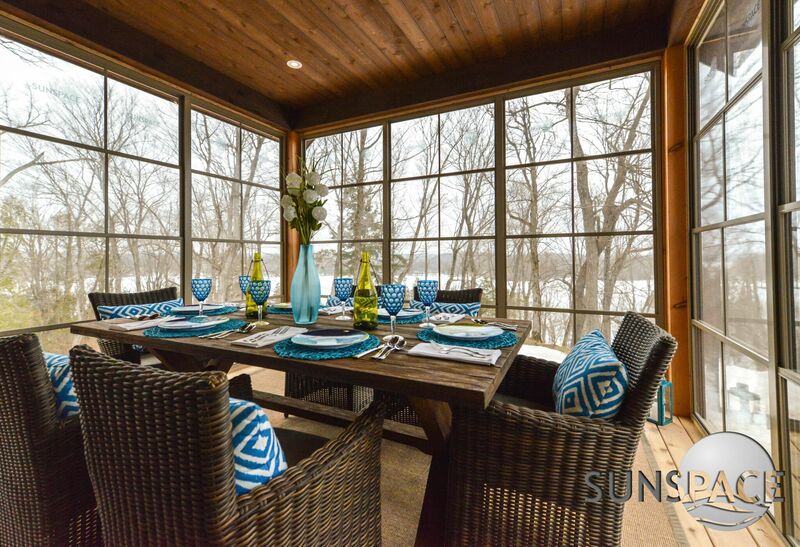 Sunspace offers 4 models of sunrooms to meet all our customers’ needs depending on how they use their outdoor area. From a screened to fully insulated product, we can find the option that best fits your needs. We provide quality products that are aesthetically pleasing and complementary to the architectures of all homes. 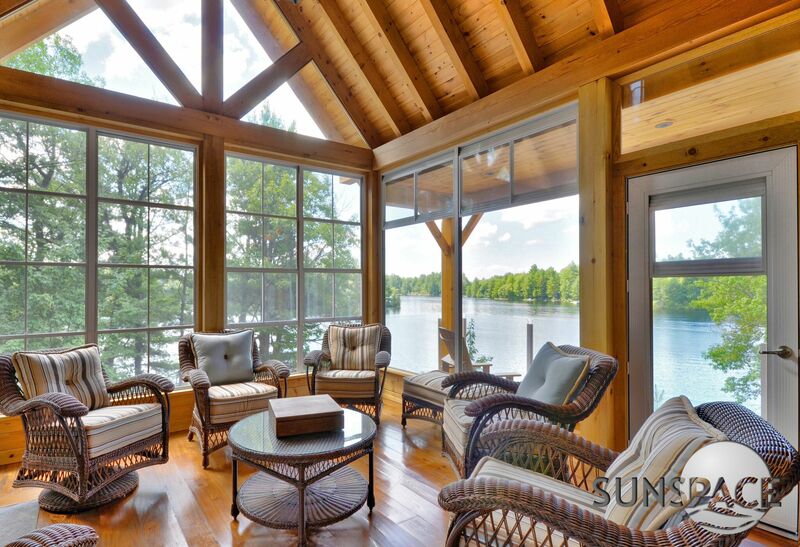 Sunspace porch enclosures are custom designed to fit an existing porch or patio. 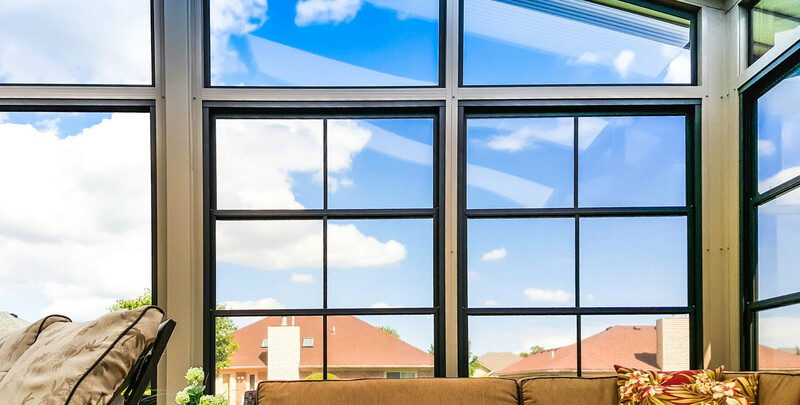 We offer multiple choices of vertical or horizontal windows to give you the optimal airflow, ease of use and most importantly the ability to close out the elements, insects, and dirt leaving your porch clean and entertaining ready. AlumaDecks are water tight, slip resistant constructed aluminum, designed to withstand decomposition from the sun and weather. They also do not retain heat and can be used for residential, docks and commercial applications. The companions to the decking system are our railings that are sleek and available in many different styles. 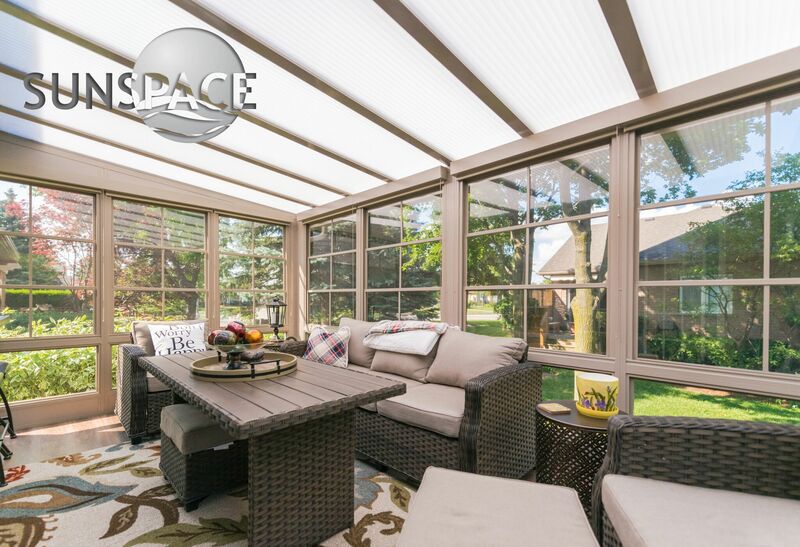 Sunspace Acrylic roof systems are customized to fit on top of pergolas, cover patios, or anywhere you need shelter from the sun and harmful UV rays. This product creates a barrier from the elements without blocking light. Our acrylic is impact and fade resistant with built in UV protection. A perfect solution for your open air space.